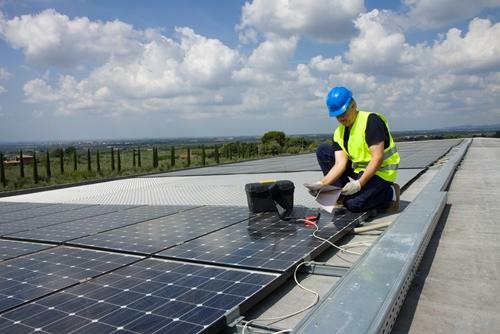 U.S. adds 930 megawatts of solar in Q3 2013 | West Coast Solar, Inc. The Solar Energy Industries Association (SEIA) has released its quarterly report on the U.S. solar industry, which surveys solar activity in 28 different states to provide a picture of how photovoltaic (PV) and concentrated solar power are growing. Their third quarter report, which came out December 9, paints a very positive picture of the industry. The country added 930 megawatts (MW) of solar generating capacity between July 1 and September 30, bringing the nationwide total to 10,250 MW. At this rate, the United States is on pace to surpass Germany in terms of total solar installations. Most of the growth in solar energy came from the residential sector. Year-over-year, residential installations grew 49 percent while commercial (non-residential) PV systems were relatively flat. Once again, California led all states with 455 MW added in the third quarter, reflecting a strong market supported by policies such as net metering and the California Solar Initiative. As Northern California solar energy continues to grow at a rapid pace, more customers are discovering why this technology presents such a great value to homeowners. In addition to reducing your household’s carbon footprint, solar power helps stabilize your finances and lower your utility expenses. For more information, contact West Coast Solar today.